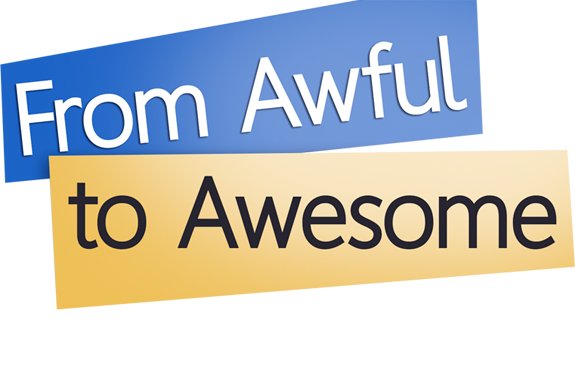 When it comes to public speaking, the most dangerous four-word phrase is “I can wing it.” Ugh! I’ve seen this attempted by both novice and experienced speakers, usually with the same crash and burn result. 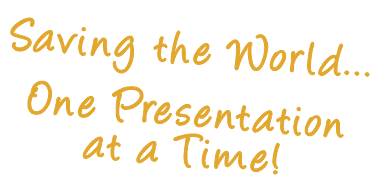 A common concern is that more rehearsal leads to the speaker sounding “phony” or “over-rehearsed.” Ironically, the best presentations I’ve observed were the ones where the speaker rehearsed the most. Why? Because more rehearsal = LESS focus on YOURSELF = MORE focus on your AUDIENCE. You want to create an emotional connection with your audience, and that’s hard to do if your main focus is on you and not on them. Rehearse out loud — not in your head. Yes, I know this is an obvious one, but I’m amazed at how many speakers just rehearse in their head. The problem with this is that we write much differently than we speak. If we write out our speech and we just read it internally, we don’t discover the tongue-twisters and awkward phrases that exist when we actually say it out loud. You’re going to give the speech out loud—rehearse it out loud. All the way and all out. A mistake I used to do during rehearsal is to stop each time I messed up and start over at the beginning. The only part of my presentation that got better was the beginning because I seldom got to the end. Don’t repeat my mistake! In real life you seldom have an option of saying, “Oops—messed up—let’s go back to the beginning.” Rehearsing from start to finish, even if you stumble along the way, will give you confidence that you can work your way through any stumbles in an actual speech or presentation. It’s a good skill to develop. The “all out” part of this tip is exactly as the name implies—rehearse with the same energy, voice, gestures, and visual aids or props that you want to do/use in the actual presentation. Make that rehearsal as “real” as possible. If you use a digital recorder during rehearsal you can hear if you are rushing or using too many filler words. If you video record your rehearsal, you can not only hear how you sound but you can also detect any odd physical mannerisms or gestures that might be distracting for the audience. An added bonus of recording your speech is time management—it enables you to confirm that you are staying within your designated time slot, which everyone appreciates. In summary, remember that rehearsal is your friend. “Winging it” is for the birds!